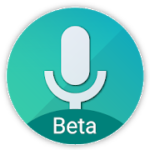 Motorola has a tendency to confirm unannounced phones with some of its app updates’ changelogs, and this latest one for Moto Voice is no different. Along with discussing some new features for the app, the changelog also mentions the Moto Z3 Play, a phone that hasn’t been announced and one that we’ve yet to see in person. Support for 70+ apps. See “Help” in Settings for a regional app list. The app actually has quite a few changes. It can now handle calls and messaging for select apps, as well as Uber, flights, and games in a few languages. Over 70 new apps are supported, and the Moto Insta-Share Projector now has voice control. But what we’re really interested in is the mention of the “moto z(3) play,” which we’ve seen renders of and has passed through the FCC. For what it’s worth, the Moto G6 went live just a day after its name was spotted in a Moto Voice changelog. So, chances are that we’ll be seeing the Moto Z3 Play and the rest of the Z3 family pretty soon.